Red Mountain Church is a small church in Southside, Birmingham. For the most part we sing hymns, many written to new tunes. There is a growing movement of setting old songs to new music (thanks in large part to RUF’s all over the country). We are honored to be a part of a movement that is causing many lost hymns to be sung once again, and which is causing more and more people to fall in love with hymns for the first time. As for the songs on this cd, several of the tunes are new, and are being introduced for the first time. Some of them are relatively new, and to our knowledge have not yet been recorded. Two songs are written (text and music) by people who are still alive today. We have included them in this recording because the text of these songs is laced with poetry found usually only in hymns. Included on this cd are two hymns where the music has not been changed. How beautiful it is when a melody can stand the test of time! Our hope and prayer is that Christians would write hymns again, and that Christians would continue to fall in love with one of our most treasured pastimes. 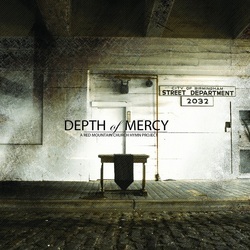 The title for our cd, “Depth of Mercy” comes from one of our favorite songs. Our hope is that Christ continues to pour out His mercy over us every day of our lives. Our hope is that these songs will allow Christians to worship and experience God’s love as the truth of His gospel is continually and articulately proclaimed. We hope you love this music as much as we do. Grace and Peace from Red Mountain Church.